With one more party remaining, check out Benimussa Park and its wild flagship party. The Zoo Project has been a staple of San Antonio's clubbing scene for well over a decade now - and it's easy to see why. Take a unique setting, add some quality music, fill it with rave-hungry animals looking for an open-air party of hedonistic delight and you've got yourself the ideal Ibiza party. 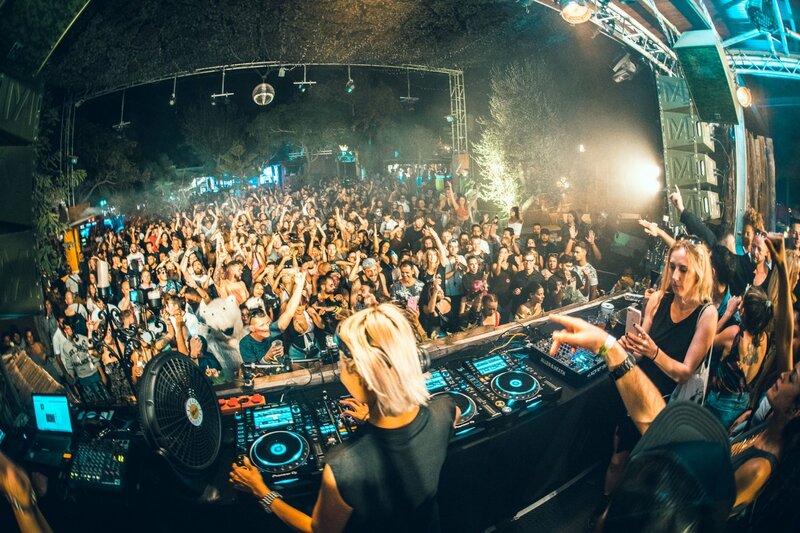 With only one more to go before the closing party on Sunday 7 October, Ibiza Spotlight joined the herd at Benimussa Park on the outskirts of San Antonio where Nakadia, Defex and others acted as zookeepers with the task of keeping the animals in check. All the areas were open - including the Roller Disco, Seal Pit, Living Room and the infamous after-hours club the Rabbit Hole - so we had the perfect chance to sample it all and embark on a party safari like no other. Here's what to expect from The Zoo Project for its final party on Sunday 7 October at Benimussa Park. The main stage of Benimussa Park and The Zoo Project, the Treehouse never fails to provide some magic. As you take your first clubbing curious steps inside the park, you wander through the mist illuminated by beam lights. Once you find your happy place to dance in, the visual and aural experience that surrounds you is both exciting and mystifying. In a whirlwind of tech beats, various dancers and performers gyrate around podiums and the dance floor. It is truly a one of a kind party in Ibiza. The overall festival vibe and feeling of inclusivity is what makes this party truly special. Making a party transition both in music and atmosphere as day turns to night is also something that The Zoo Project does very well. With all of the above combined, the Treehouse stage acts as the centre point of the party. On the evening we visited, first off we were treated to the multiple back-to-back stylings of Karina, Kali G and Tres Manos. They mixed in unison beautifully throughout the afternoon with the dusk light illuminating the three DJs like a golden backdrop. The range of music played varied in harder and deeper tones. My personal tune selects from this b2b set, however, were Pintman by Ejeca for its unique leftfield groove and Good Luck (Butch Remix) for its powerful soul vocals overdub-style beats. Later it was time for the headline act of the evening. Nadakia has become a pretty regular visitor to The Zoo Project this season, wowing crowds with her prowess behind the decks. Hailing from Thailand, a temptress behind the turntables, her blend of banging techno beats would put any party into overdrive. Tunes like Hidden T by Enrico Sangiuliano certainly set the outdoor dance floor ablaze. Warming up with some tequila shots at just €2 a pop, we made our way to the raving old Seal Pit, which is arguably the most talked about area of the venue. There, instead of seals, it's humans – yup, definitely where the most bodies are contained! This is a quintessentially Ibizan event which captures the theme of a reimagined zoo wonderfully. A small glistening pool separates the rocking DJ stand and the staggered steps in front seem made purely for grooving. We entered the dark den and found ourselves a good spot, throwing some serious shapes at some electronic musical treats from one of our favourites: the DJ and producer Defex. As the groovy sounds of Sidney Charles' Raw Rhythm echoed the semi-circle of ravers, we found ourselves transfixed on the breakdancing lions, gorillas and more of the sexiest species of dancers you're likely to see. Performing goofy tricks which you would see at a live animal show, they put on a unique show. You can let your imagination run wild, but the stage has a vibe different from any other on the island. If you missed him drop roaring disco tunes, worry not. The closing party on Sunday sees Defex back again, and we can't wait. Joining him in the Seal Pit will be blondewearingblack and an extra special guest you won't want to miss. Everyone loves an outside party, but can you really beat getting down, dark and dirty to the beat of a thumping sound system where the outside world is hidden away, for a few hours at least? The Rabbit Hole - kitted out with a top-of-the-range Funktion One - is the perfect way to finish off a day at the zoo. Opening at 22:45, Adeline was on hand through the night to spin a heavier beat for some rave-ready animals who flocked to the underground section of The Zoo Project. Technopolis by Moyo Brothers blasted as the eager ones made their way into the Rabbit Hole. It started to fill quickly, which shows the popularity of this unique and intimate venue. I was soon dancing off the delicious, freshly made pizza crafted by the Es Tancò stall in the heart of the festival-like venue. The bpm was growing and legs moving quicker. As the atmosphere rose with each beat and kick, . Allen & Filix's Dusty Palace pierced through the dance floor like a hunting spear. The animals were well and truly caught at this point. Jeancedric and Davina Moss will be taking over the Rabbit Hole next week. It'll be the last chance to see it - who knows what will happen in there? The question is what can you expect a closing from this party will be like? Apart from the artists previously mentioned taking over the Seal Pit and Rabbit Hole respectively, there is definitely more to see. The Living Room will be hosted by the local lads Miller & Nicolau of Real Gang and London club dweller Cici. Brand new for 2018, the BUMP roller-disco rink has long time Ibiza resident Graham Sahara mixing it up with funky blends. Finally, the Treehouse stage has French underground masters, Stephane Ghenacia and Thomas Roland going back to back, sharing the stage with Unusual Suspects regular Federico Grazzini. To top off the billing, musical mistress tINI will bring her usual flare to the party. Can't wait that long to hear all this great music? Then head on over to our Spotify playlist to get yourself hyped for a rumble in the Zoo Project jungle.